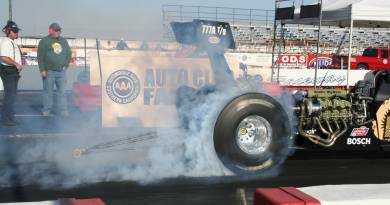 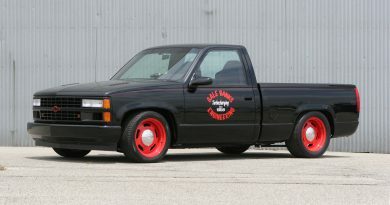 This is the truck that shattered existing speed records – and people’s perception of diesel performance. 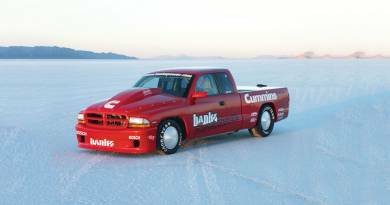 Cummins diesel-powered Project Sidewinder set five land-speed records and became the World’s Fastest Pickup Truck. 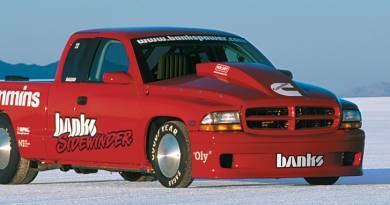 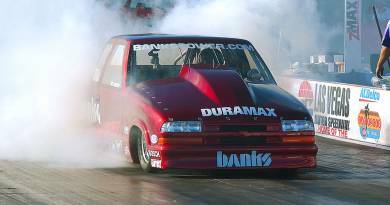 Surpassing Gale Banks’ personal goal of 210 mph, the Banks Sidewinder smashed the world 159.647-mph record with an average speed of 217.314 mph, making Sidewinder the World’s Fastest Diesel Pickup! 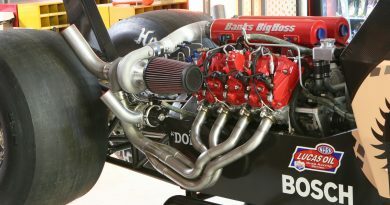 Amazing Overall Top Speed: 222.139 mph! 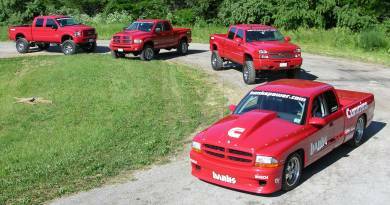 Try getting a pickup truck, with the aerodynamics of a brick, to go 222 MPH with a diesel engine. 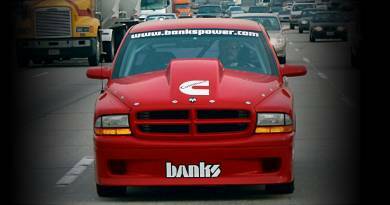 Banks did, and kept it street drivable too. 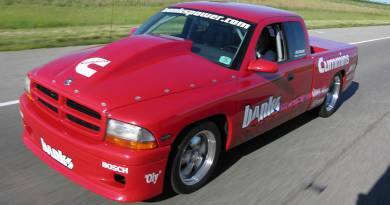 If you’ve never extensively modified a vehicle for performance, including a major engine and drivetrain swap, construction of a safety/chassis roll cage, and complete revision and replacement of the suspension, then you can’t imagine the amount of work required. 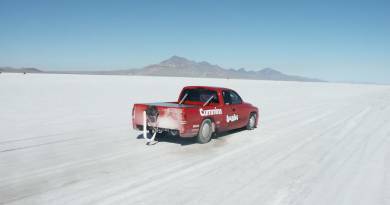 Add a complete engine upgrade program, and all of the special equipment required for a Land Speed Record attempt at the Bonneville Salt Flats, and the task becomes monumental. 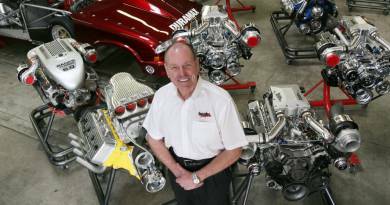 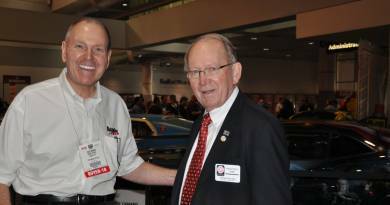 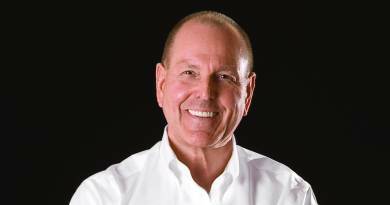 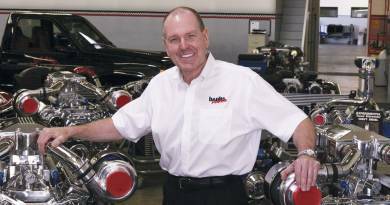 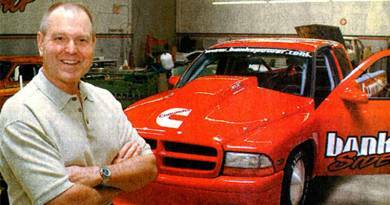 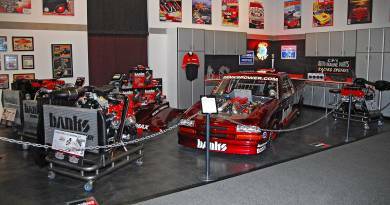 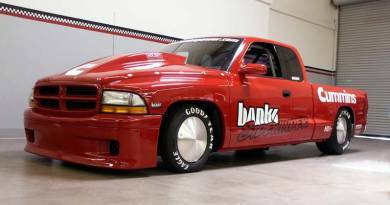 It takes the resources and knowledge of companies like Cummins Engine Company, New Venture Gear, Wilwood Engineering, the Progress Group, and of course, Gale Banks Engineering to create a vehicle like the Project Sidewinder Dakota. 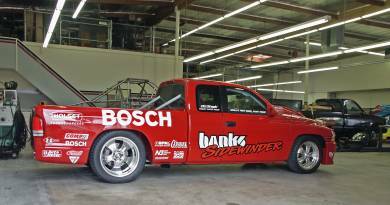 Even so, after a year of preparation, the vehicle wasn’t declared “race ready” until midnight, Oct.16th, at the Banks Race Shop in Azusa, California. 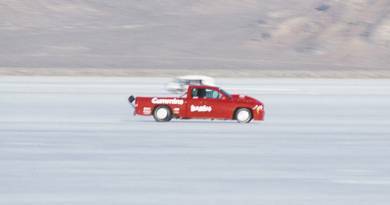 The World Finals had already begun earlier that same day at the Bonneville Salt Flats in Utah, some 700 miles away. 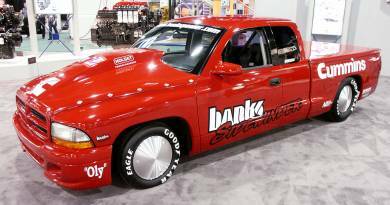 Built entirely in Banks’ race shop, this 735 hp, 1300 lb-ft 5.9L Cummins-powered Dakota is street driven and averages 21.2 mpg on the Hot Rod Power Tour. 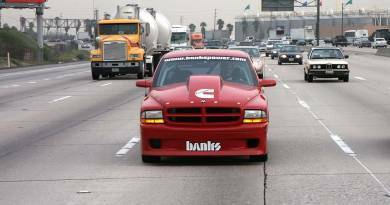 The Banks Sidewinder® Dakota is the official F.I.A. 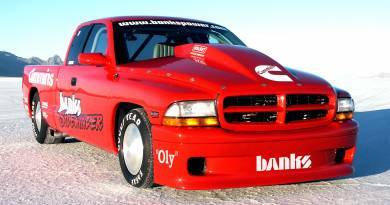 World’s Fastest Diesel Truck @ 217 mph (two-way average) and a best one-way of 222 mph. 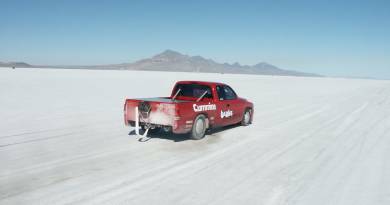 It also towed its own support trailer to the salt! 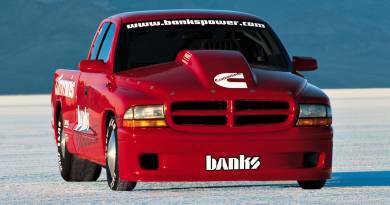 Banks Sidewinder: The World’s Fastest Pickup!